Refer a client and earn a 3% commission! These days, traditional financing is hard to come by. Savvy business owners who are serious about success are taking it into their own hands. Cash Advance funding programs have become a main source of project financing for many small to mid-sized business owners. And because the process is streamlined and convenient, many owners see the value in access to future revenue today. 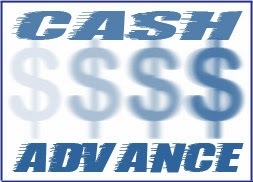 The cash advance is more than an emergency fund, it's a cash flow solution! Merchant Cash Advances Are Based On Future Credit Card Receivables! Merchant Cash Advance is an alternative way to obtain working capital - READY CASH - for those important business needs. Cash advances are based on future credit card receivables, so qualifying is much simpler than a traditional loan! Qualification based primarily upon credit card processing totals, no need to put up collateral with our Merchant Cash Advance Products! PAYMENTS FLEX WITH YOUR DAILY SALES! We collect a fixed percentage of your daily credit card sales - pay it as you earn it, not on a set due date! Just a short 1 page application and authorization page gets you cash offers back fast with no obligation!